Sedge warbler, the first one in 2018. Winds from NNE turning NNW, 7-10 m/s. Clear skies, but only 2 degrees in the morning. Too windy for the northern nets. nets open 05.30-10.30, netmeter hours approx. 3900. Ringed: Song Thrush 1, Sedge Warbler 1 (First this season), Blackcap 2, Willow Warbler 6, Chiffchaff 1, House sparrow 1, Chaffinch 2, Greenfinch 1, Eurasian Siskin 2 (first this season). Total = 17. Also 6 controls. 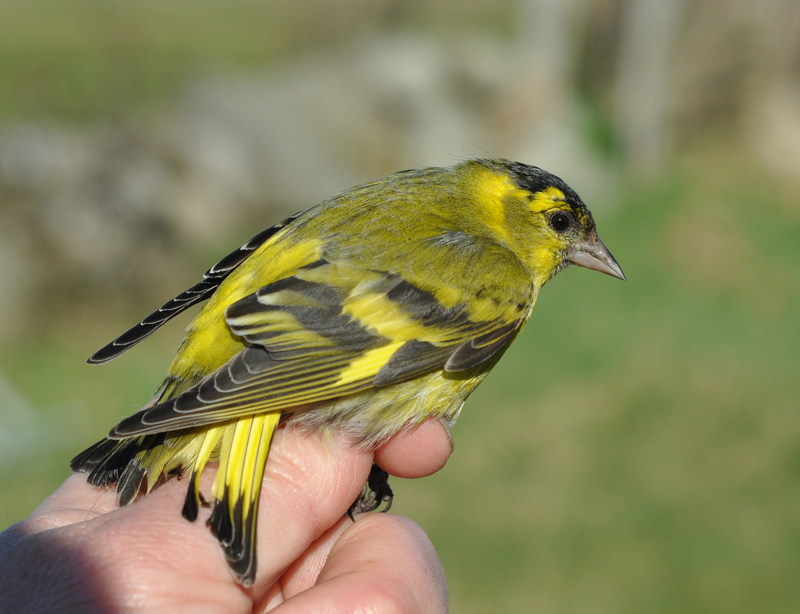 Eurasian siskin, adult male (3cy+).